Could not login. Make sure your Facebook account provides Email address. 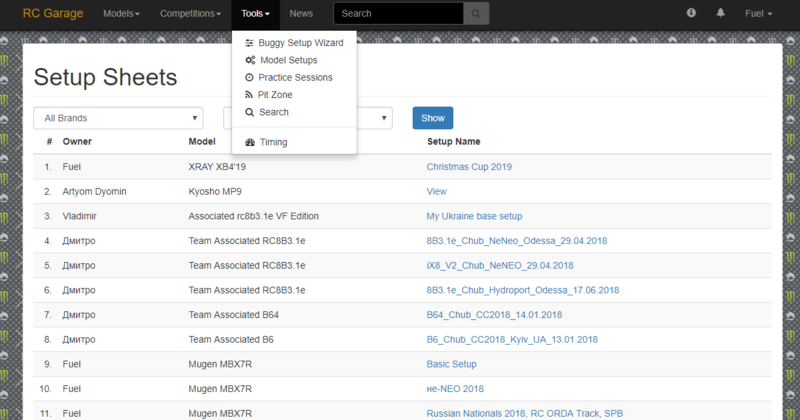 We are continue to extend the feature list of RCGarage and today we glad to announce of adding a new section of our resource which will facilitate the search of mdoel setup sheets. Note: The current implementation of the search works only within the list of setups that have been uploaded or created by RCGarage users.